The CW rose from the ashes of The WB, and now it may be getting in touch with its roots. 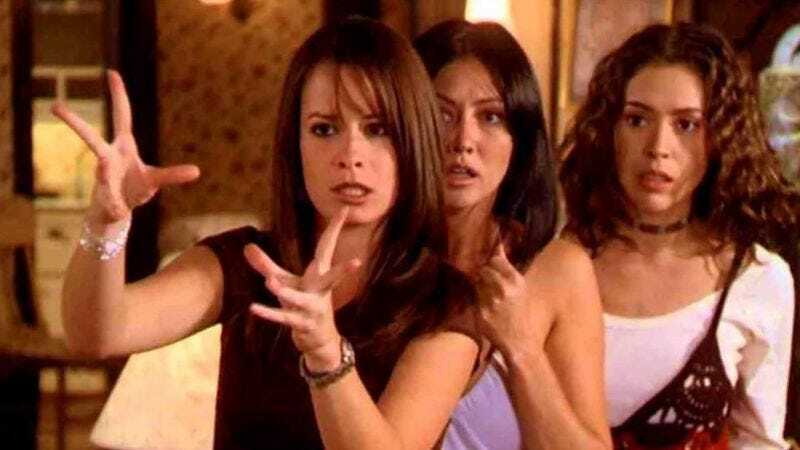 The network is reportedly working on a reboot of the witchy sister drama Charmed, and it is set to have some of the DNA of one of The CW’s most critically acclaimed shows. According to Deadline, Jane The Virgin’s Jennie Snyder Urman conceived the story for the reboot, along with her colleagues Jessica O’Toole and Amy Rardin. Charmed ran from 1998 through 2006 and starred Holly Marie Combs, Alyssa Milano, and Shannen Doherty, the latter of whom was then replaced by Rose McGowan. At this point it’s unclear just how much the plot of the new incarnation will differ from the original, but we do know there will be one major change. The magic will happen in 1976 rather than in the present day—be that the late ’90s or 2017. In that sense, it seems like, should this go to air, it will shake out to be more “inspired by” Charmed rather than a Fuller House-style revival. Back in 2013, a reboot was considered over at CBS.